SAKI awarded the North Carolina Department of Justice (NC DOJ) a $2,000,000 grant in fiscal year 2018 to help the NC DOJ test and track all testable sexual assault kits. The NC DOJ will also promote a multidisciplinary team approach to sexual assault response throughout the state by disseminating training and resources. NC Attorney General Josh Stein announced the introduction of the Survivors Act which asks for $6 Million in funding for testing previously unsubmitted sexual assault kits and set standards for submitting kits to the crime lab. 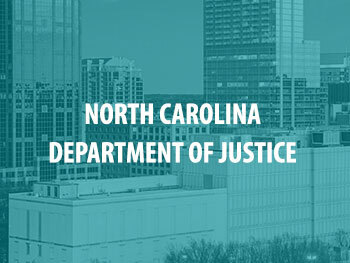 North Carolina received $2 million in funding from the Bureau of Justice Assistance to test previously unsubmitted sexual assault kits, investigate and prosecute the associated cases, and receive training on trauma-informed, victim-centered approaches. The North Carolina Attorney General's office will be launching their new Sexual Assault Evidence Collection Kit Technology Inventory Management System (STIMS) early next week. This system will allow victims to track their sexual assault kits as they go through processing.